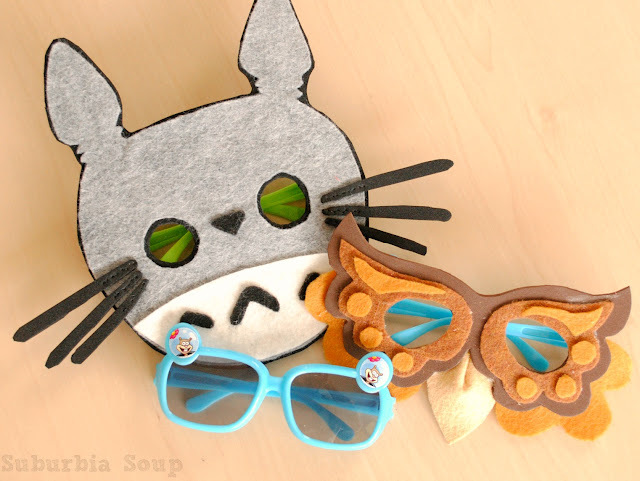 Let's take a little break from sewing (step away from the sewing machine) and let's do a little craftin', shall we? I had originally wanted to do this tutorial two years ago in October, but never got around to it. So I thought, "why not do it now in the summer?". Perfect! 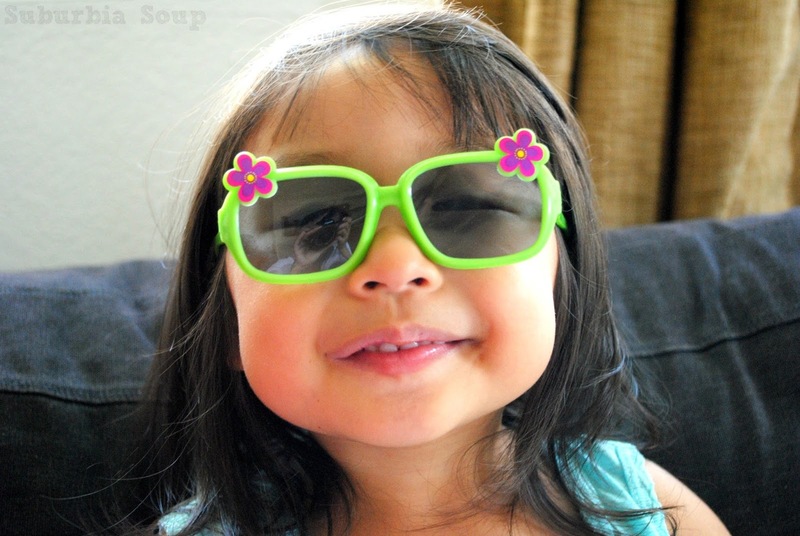 It's summertime, the kids are home, sunglasses are abundant and anytime is a good time to play make believe! A couple years back, I was in the process of making Lala's Halloween costume. She was going to be an owl. The body of the costume was all sewn, but the face was my challenge. I remember being a kid and getting the costumes in a box. Remember those? The ones where it was a full body outfit (a one piece) made out of plastic and it came with a mask that swallowed your face. Within 5 minutes of wearing the mask, your face is drenched in sweat and you begin to feel claustrophobic because the holes for the nose and eyes were too small, remember?! So by the time you finished one block of trick-or-treating in your neighborhood, the mask was either in your candy bag or on top of your head. I even remember a couple of times, the mask ripping. Ahhh...good times. So I needed to create a mask that was going to be easy to make, easy to put on or take off and comfortable to wear. I was stumped. It wasn't until I saw a picture somewhere of the 2000 New Year's Eve glasses, you know the ones I'm talking about. Where your eyes are in the "00", between the "2" and last "0". That's when it hit me... why not glue a mask to an old pair of sunglasses? And that's what I did! It was a huge success. Lala wore the mask with no problems and it got a lot of use. Even Sophia (my eldest) wore it to her school spirit day just last year. 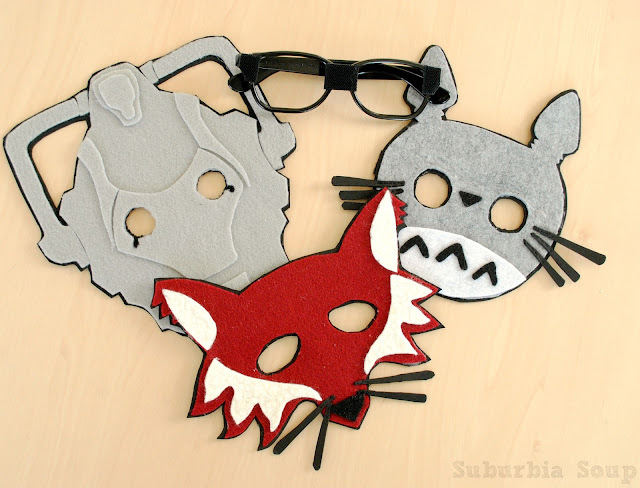 So if you're in the market for easy to make and easy to wear masks, pull up a chair and let's get craftin'! *If you only have one pair of sunglasses, use velcro to attach to the masks. 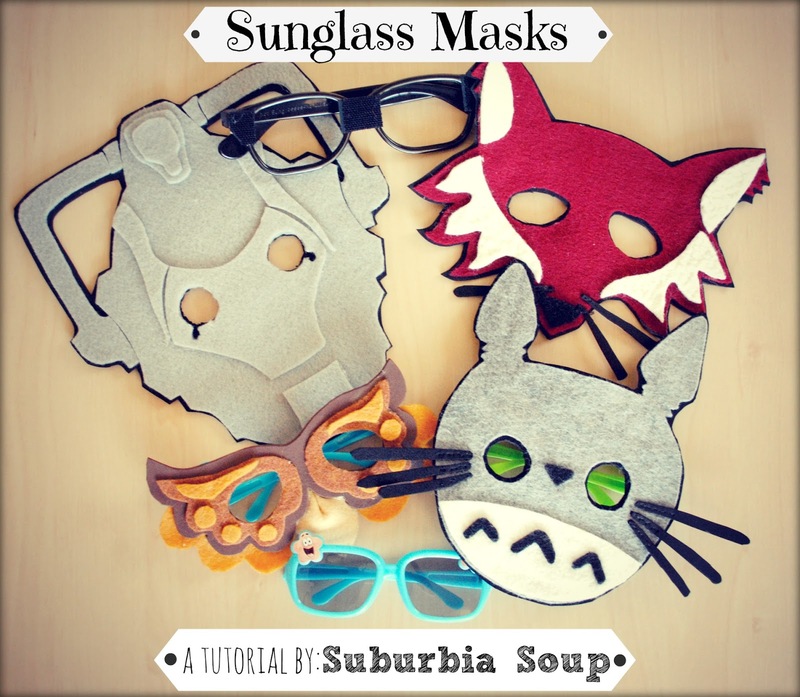 This way allows you to make multiple masks and only using one pair of sunglasses. 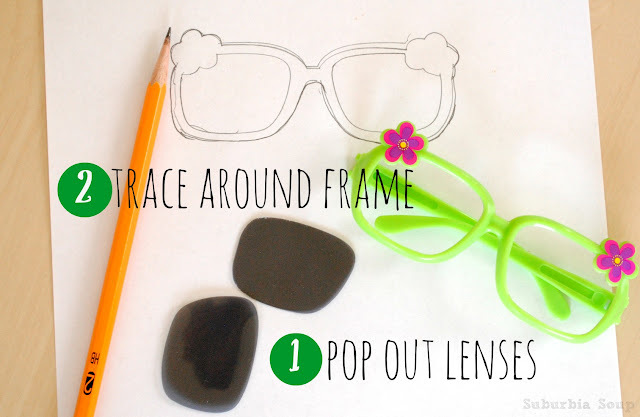 First, pop out the lenses and with a pencil and paper, trace around frame. With the black Sharpie, go over what you traced. This will be your template. Take your template and placed it underneath a plain white paper. Draw your mask. Make sure to draw the eyes within the frames of your template. 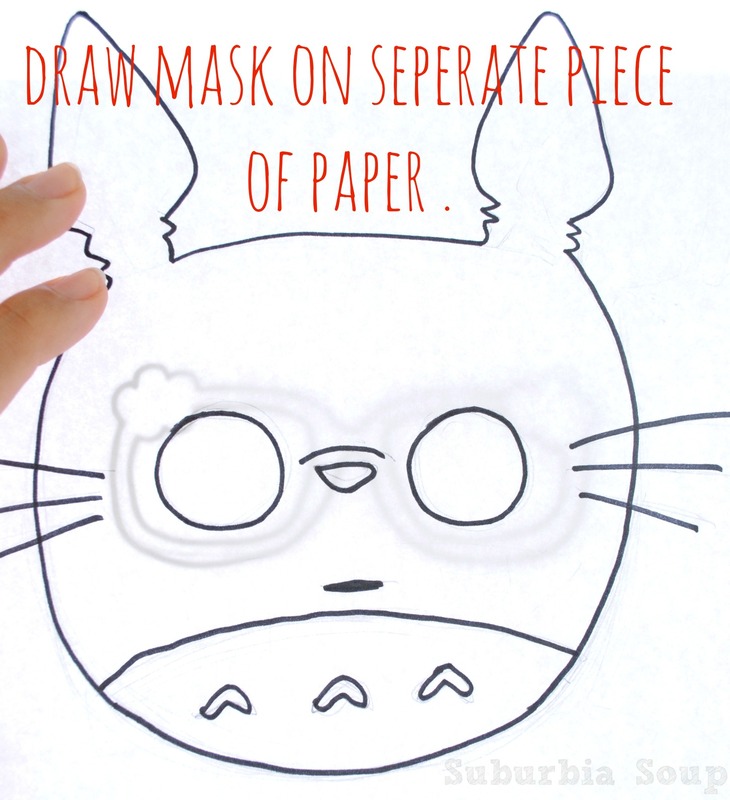 Once you draw your mask, you will then need to create pattern pieces for all the details on your mask. Once you've drawn out all the pieces, you will need to cut them out. 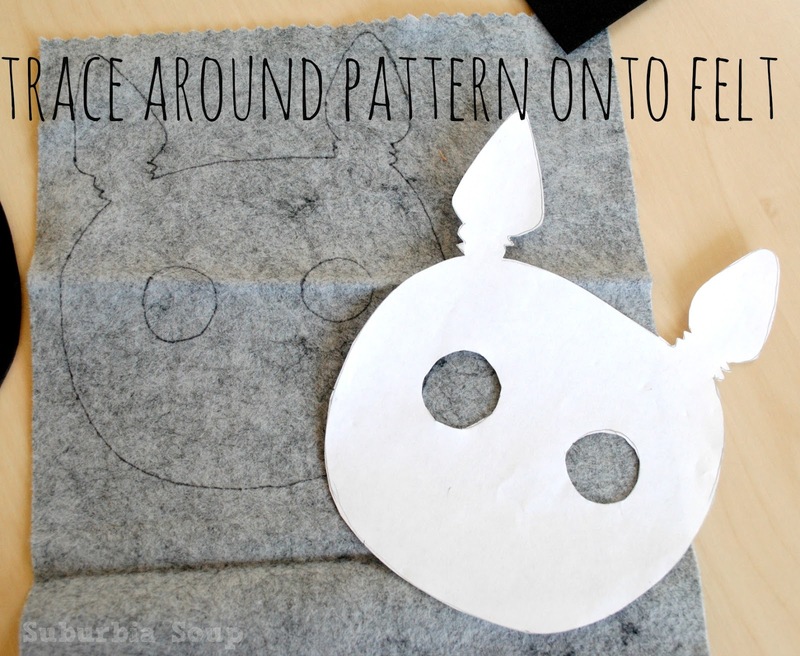 Place your pattern pieces on top of the felt and trace the pattern with a fine tip Sharpie. Cut out pattern pieces. Take your main pattern piece (the face) and adhere it to the foam craft paper using Fabri-Tac glue. 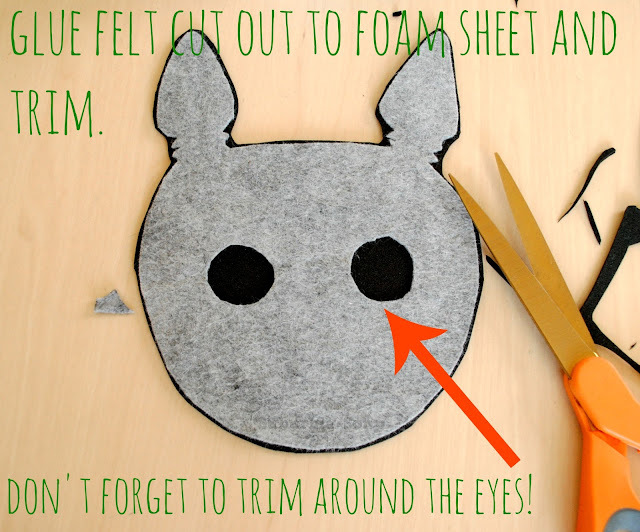 Carefully cut around the felt. Make sure to cut an opening for the eyes. Adhere details to the face using Fabri-Tac glue. Allow glue to dry. If you're feelin' extra crafty, you can stitch on the details. Apply hot glue to the frames of the sunglasses and carefully attach to the back of the mask. Clean up any glue boogers. Once glue is cool... it's show time! Only able to sacrifice one pair of sunglasses? No problem! 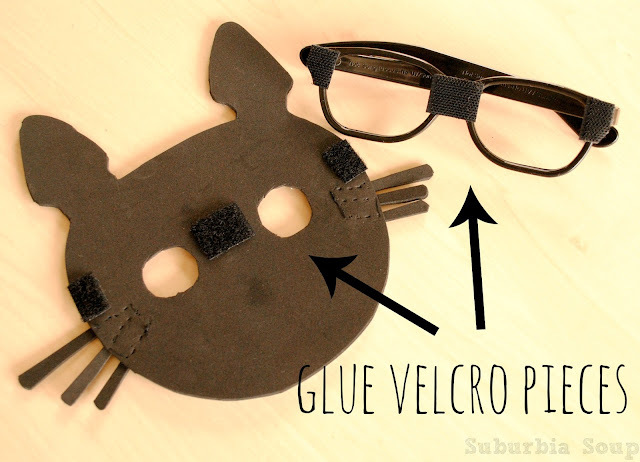 Attach velcro to the sunglasses and to the back of the mask using hot glue. Let it set and get ready to be anyone or anything your heart desires! Can you guess what the last picture is? Pretty easy to make, huh? Now it's your turn! Make sure to share your creations over HERE. I'd love to see what you make!!! Really cool idea to add the mask to your sunglasses! Oooo! I wanna see it when you're done!!! I know, I can't decide either. Thanks, Sanae! Thanks! I HAD to make a Cyberman... it was actually a request from my older girls. Oh my gosh... you're little one is going to be sooo cute as the 11th Doctor! Speaking of... did you hear who's the 12th??? Beast Boy would make for a cool mask. You could even make multiple animals of Beast Boy and interchange them, if you're feelin' really crafty! how creative!! children love it!!! must be fun wearing this mask and go to the party!! genius. The idea is really really great and will be pinned so i will never ever forget this! ha! Thanks, Lia! When you make one, I'd love to see it! Great idea! Saving this one for the kiddos! This is such a great idea! I hope one of my kids needs a mask this Halloween so I can do this! I've been doing this for about 5 years... 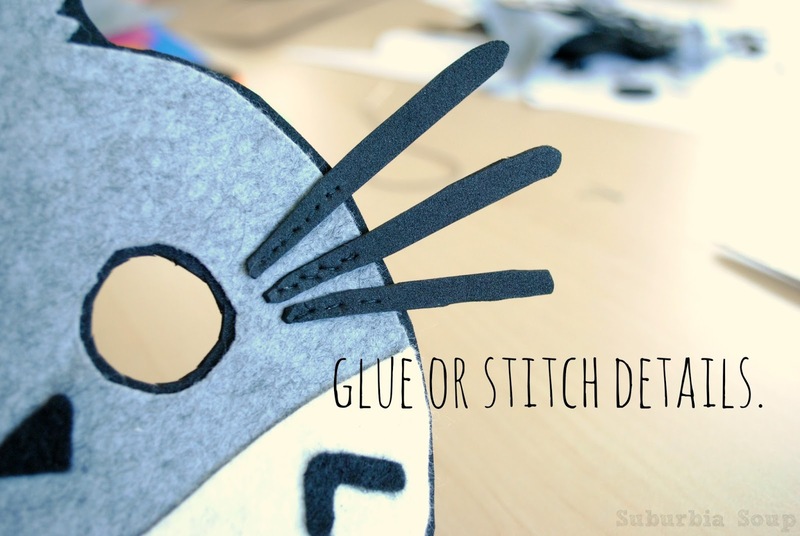 I do costumes for a rural children's theatre, and "invented" this method when I needed the kids to wear masks, and move around, the elastic string didn't work... then I got this idea... got excited when I saw you had done it also. That's awesome! 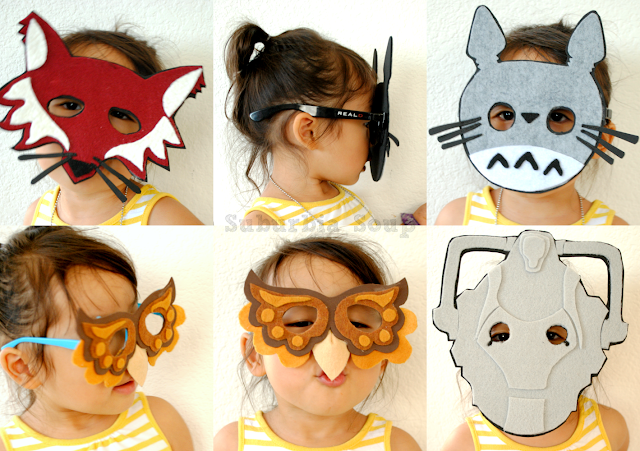 When I first made these for mr little one last year, I was surprised that I didn't see anything like this. It's such a smart idea. Do you have pictures? I would so love to see!